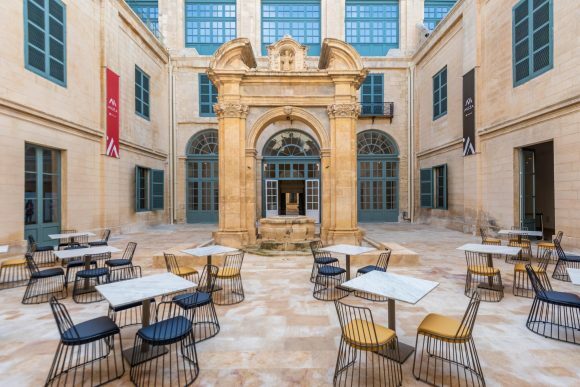 The newly opened MUŻA Restaurant is located within the remit of the MUŻA public space situated within the historic Auberge D’Italie in Valletta. 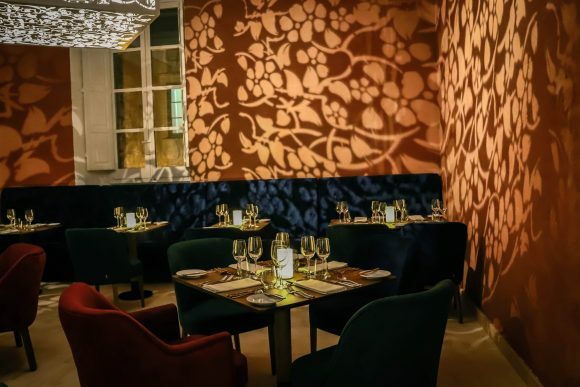 The Restaurant not only upholds the key values guiding the MUŻA project but is also an essential part of the project’s interpretative strategy providing a complementary experience to the narrative of display thanks to a unique culinary experience. 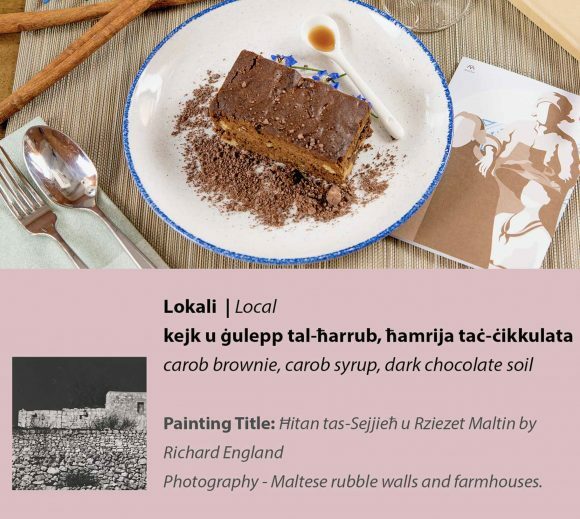 MUŻA Restaurant boasts three main areas within MUŻA each having a rich history of their own. 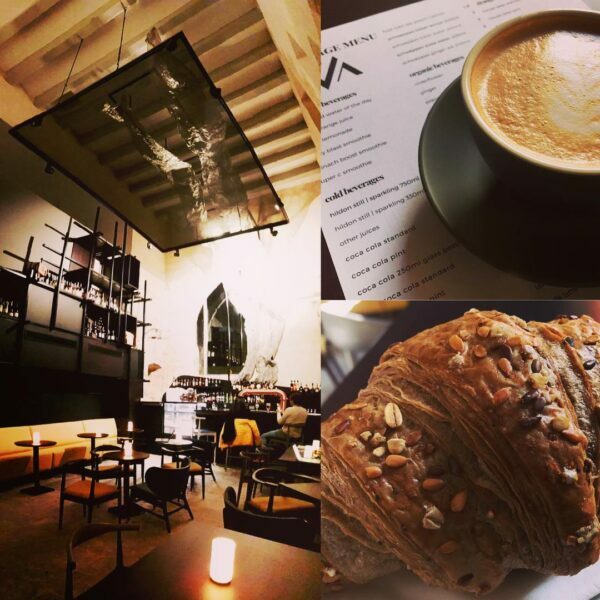 The Bar-Cafe area, is located within what once was the Auberge’s Kitchen. A quaint space where surviving elements from the original historic kitchen including the flagstone flooring, the hearth complete with soot and grime and other architectural features are combined with and interpreted through modern décor. The Donato Room is adjacent to the Bar-Café area. This was the space where lower ranking officials of the Order of St. John responsible for the day to day running of kitchen and services would have lived during the times of the Order of St John. When Auberge d’Italie became the Valletta Museum, the museum’s custodian would have lived here too. This room has now been transformed into the Main Dining area. The luxurious interior, with shades of blue, red and green is illuminated by the resplendent metal-work chandelier which casts a delicate floral pattern onto the interior. This pattern is inspired by the early 20th century decorative frieze which still survives. The typical Mediterranean Courtyard is the ideal open space to unwind and experience the historic fabric of the building itself. This is the MUŻA agora or public space with a prominent arch crowning a well at the centre of the courtyard. 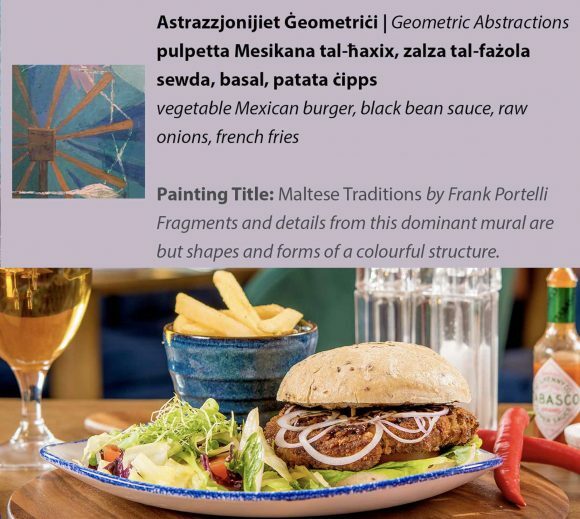 This is the place where to enjoy Malta’s Mediterranean weather, to hang out or to just get inspired following your visit to the galleries. 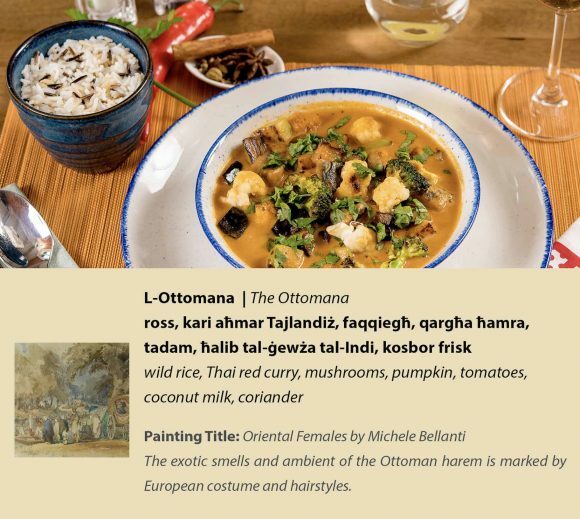 The Menu is an experience inspired by the pleasures of taste. Specialities feature fresh, home grown and seasonal produce. 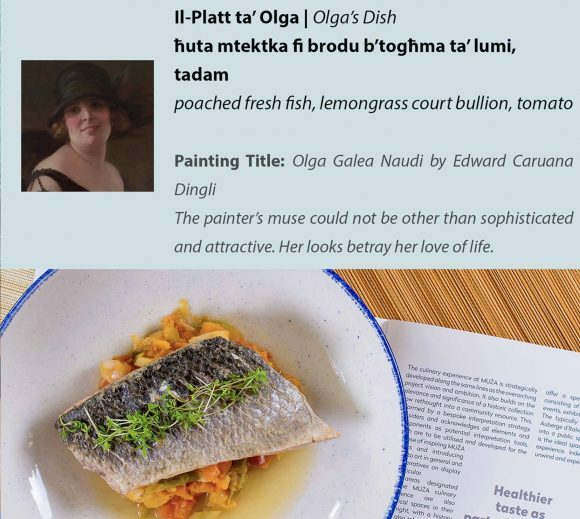 Dishes are inspired by and complement a choice of artworks on display in the galleries through textures, shapes, colours, elements and stories that go in the creation of savoury dishes that are at the same time teasers to be inspired in the best tradition of the MUŻA experience. 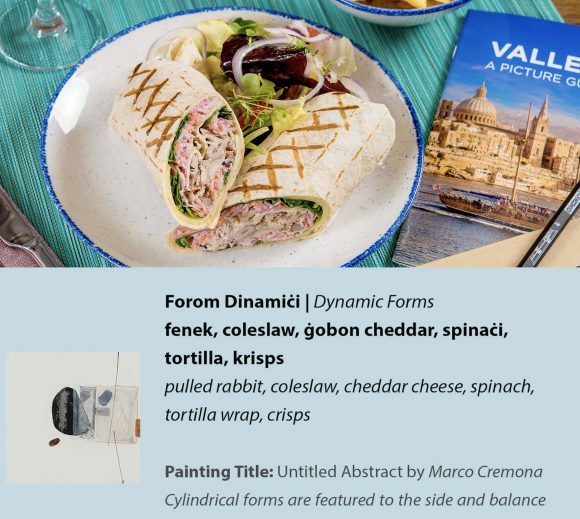 The menu helps clients choose their favourite dish along with their choice of artwork.